A torsade is a necklace or bracelet made from multiple strands which are twisted together. Illustrated here is a torsade bracelet of pearls but keep in mind that it can also be several strands of chain as well. A torsade necklace would be of choker length, much longer and it becomes a sautoir. 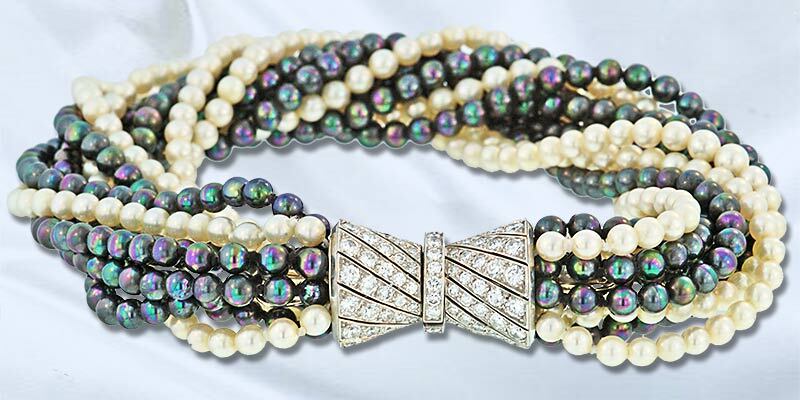 Black and White Pearl Torsade Bracelet.